As fall approaches, many sun-lovers mourn the loss of summer. However, what some fail to realize is that when summer ends, you lose more than just long days, beaches, picnics, swimming, shorts and flip-flops - you also lose vitamin D. The sun remains the best way to get the super-important vitamin D. However, if you are like me (living in the great white north of Canada), the sun angle will be too low for a good portion of the year to provide you with adequate vitamin D (also, if you live near the Vancouver area, you may not even see the sun behind all those rain clouds for months on end). This week of our 52 Weeks to Better Nutrition and a New You series, it is time to look at what this amazing vitamin (which should really be called a hormone) can do for you and how to make sure you are getting enough. Vitamin D is important for proper functioning of the cardiovascular system, immune system and musculoskeletal system. As a result, it has gotten a lot of attention in the research world over the last several years and this post will not be able to look at all of the research on vitamin D. I did a PubMed search through the medical journals on Vitamin D for humans and it produced 32, 816 hits. Since this blog is for athletes and those who want to look and feel like one, I have narrowed my research down to the recent studies and articles that approach vitamin D from a performance nutrition perspective. Here is what I found. Because of vitamin D’s role in calcium absorption, it plays an important role in both our bones and our muscles (calcium is used in muscle contraction). According to the research I looked at, athletes not getting enough vitamin D may be at a greater risk for stress fractures (and fractures in general), muscle injuries and musculoskeletal pain. Research also shows that adequate vitamin D reduces these risks and reduces total body inflammation. Also the time of year can impact your injury risk. A study on professional dancers found low levels of vitamin D in the winter which improved "marginally" in the summer. These dancers also had a higher incidence of injury in the winter. This is an important consideration for any athlete whose sport season takes place predominantly in the winter months. There are over 1000 genes in the human body that are regulated by this vitamin (a steroid hormone) and this influences athletic performance. As mentioned above, adequate vitamin D is important for muscle contraction. Vitamin D deficiencies can result in: muscle weakness, impaired muscle function, loss of functional ability, loss of muscle mass and atrophy of type II fibers (these are the important fast-twitch muscle fibers that athletes need to run fast and jump high). Improving vitamin D levels improves performance in deficient athletes and research shows a positive correlation to aerobic fitness, vertical jump, speed and power. For example, a study on UK athletes found that a daily dose of 5000 IU of vitamin D3 for 8 weeks improved sprinting speed and vertical jump. In addition to all these benefits, vitamin D also has an important connection to testosterone production (man’s favorite hormone!). For more information on this, check out this short but informative video by Dr. Lonnie Lowery entitled: The Vitamin D and Testosterone Connection. .
Side note: many symptoms of vitamin D deficiency are similar to those with fibromyalgia and chronic fatigue syndrome. Never forget the importance of health and how it affects your ability to train properly. So after reading about the benefits of vitamin D and the risks of not getting enough, the next big question then is are you getting enough? It is estimated that 1 billion people world-wide are vitamin D deficient. Many athletic populations have deficient or insufficient levels of vitamin D. This is especially true for those living in the northern or southern regions of the globe. Athletes living in northern regions have inadequate vitamin D concentrations (<50nmol.I-1 – more on what these numbers mean below…). In a study on FA Premier League soccer players residing at a latitude of 53°N, 65% had insufficient vitamin D. If you live at a latitude: above/below 35-37deg north or south, you will likely not get enough vitamin D from the sun alone (if you want to know your latitude, check out this LINK). Also, vitamin D deficiency has now been found to be common in groups that scientists did not traditionally consider to be at risk. In addition to where you live, personal factors such as how much sun you get, your use of sunscreen, how dark your skin is (darker = less vitamin D exposure) and body composition (obese individuals need more vitamin D as the larger body mass dilutes vitamin D) effect vitamin D levels. What should my vitamin D levels be? As mentioned above, the best source of vitamin D is the sun. During warmer, sunny months of the year, look for getting some sun. A safe sun exposure recommendation is: to get in the sun for 2 times per week between 10am and 3pm with your arms and legs exposed for about 5-30min (note: this length depends on season, latitude and skin color). As far as dietary sources of vitamin D, you are limited. A few foods that contain some vitamin D are: fatty-fish (salmon, mackerel, sardines, tuna), irradiated mushrooms, egg yolk and fortified foods (e.g. milk). Note: fortified vitamin D foods means that they just added a vitamin D supplement to the food for you. This can be an expensive way to get vitamin D. Also, fortified foods will likely not be enough without UVB exposure. A study on US college athletes found that only 5% consumed the US RDA (600 IU) from food alone. Another study on professional polish athletes found that even in the summer months, only 50% of the players had normal vitamin D levels. After the winter this dropped to 16.7%. Because many people only have access to sufficient sunlight for part of the year and dietary sources of vitamin D are limited, supplementation (though somewhat controversial) is a practical solution for many people. Vitamin D supplements are very in expensive and based on the cost of vitamin D-fortified foods and the health, injury-prevention and performance benefits, the cost-benefit analysis of supplementation is excellent! If you choose to supplement with vitamin D, choose a vitamin D3 supplement ideally in liquid or capsule form. Make an appointment with your doctor to get your vitamin D levels checked. This is much better than just supplementing on your own without knowing for sure if you need to. Also, work with your doctor to monitor your vitamin D levels throughout the year to watch for deficiencies. If you are deficient, increase supplemental vitamin D by 1000 IU over 3-4 months for every desired 10ng/ml increase in vitamin D levels. If you are deficient, then, go to the store and get some vitamin D3. A great guideline from the British Journal of Sports Medicine for those with limited sun exposure is to supplement with 1,000-2,000 IU vitamin D3 per day. They see this as both safe and necessary to maintain adequate vitamin D levels. Moran, D., McClung, J., Kohen, T., & Lieberman, H. (2013). Vitamin D and Physical Performance. Sports Medicine, 43(7), 601-611. Wolman R, Wyon M, Koutedakis Y, Nevill A, Eastell R, Allen N. Vitamin D status in professional ballet dancers: Winter vs. summer. Journal Of Science & Medicine In Sport [serial online]. September 2013;16(5):388-391. Available from: SPORTDiscus with Full Text, Ipswich, MA. Accessed October 10, 2013. Kopeć A, Solarz K, Majda F, Słowińska-Lisowska M, Mędraś M. An Evaluation of the Levels of Vitamin D and Bone Turnover Markers After the Summer and Winter Periods in Polish Professional Soccer Players. Journal Of Human Kinetics [serial online]. June 2013;38:135-140. Peeling P, Fulton S, Binnie M, Goodman C. Training Environment and Vitamin D Status in Athletes. International Journal Of Sports Medicine [serial online]. March 2013;34(3):248-252. Close G, Russell J, Morton J, et al. Assessment of vitamin D concentration in non-supplemented professional athletes and healthy adults during the winter months in the UK: implications for skeletal muscle function. Journal Of Sports Sciences [serial online]. February 20, 2013;31(4):344-353. Angeline, M. E., Gee, A. O., Shindle, M., Warren, R. F., & Rodeo, S. A. (2013). The Effects of Vitamin D Deficiency in Athletes. American Journal Of Sports Medicine, 41(2), 461-464. Shuler, F. D., Wingate, M. K., Moore, G., & Giangarra, C. (2012). Sports Health Benefits of Vitamin D. Sports Health: A Multidisciplinary Approach, 4(6), 496-501. Larson-Meyer, D. E., Burke, L. M., Stear, S. J., & Castell, L. M. (2013). 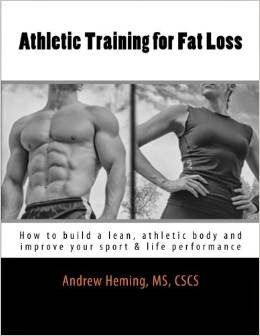 A--Z of nutritional supplements: dietary supplements, sports nutrition foods and ergogenic aids for health and performance: Part 40. British Journal Of Sports Medicine, 47(2), 118-120. Morton, J. P., Iqbal, Z., Drust, B., Burgess, D., Close, G. L., & Brukner, P. D. (2012). Seasonal variation in vitamin D status in professional soccer players of the English Premier League. Applied Physiology, Nutrition & Metabolism, 37(4), 798-802. Powers, S., Nelson, W., & Larson-Meyer, E. (2011). 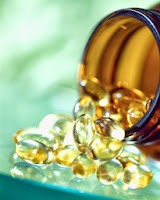 Antioxidant and Vitamin D supplements for athletes: Sense or nonsense?. Journal Of Sports Sciences, 29S47-S55. Halliday, T. M., Peterson, N. J., Thomas, J. J., Kleppinger, K., Hollts, B. W., & Larson-Meyer, D. (2011). Vitamin D Status Relative to Diet, Lifestyle, Injury, and Illness in College Athletes. Medicine & Science In Sports & Exercise, 43(2), 335-343. Constantini, N. W., Arieli, R., Chodick, G., & Dubnov-Raz, G. (2010). High Prevalence of Vitamin D Insufficiency in Athletes and Dancers. Clinical Journal Of Sport Medicine, 20(5), 368-371. Hamilton, B. B. (2010). Vitamin D and Human Skeletal Muscle. Scandinavian Journal Of Medicine & Science In Sports, 20(2), 182-190. Larson-Meyer, D., & Willis, K. S. (2010). Vitamin D and Athletes. Current Sports Medicine Reports (American College Of Sports Medicine), 9(4), 220-226. Cannell, J. J., Hollis, B. W., Sorenson, M. B., Taft, T. N., & Anderson, J. B. (2009). Athletic Perlormance and Vitamin D. Medicine & Science In Sports & Exercise, 41(5), 1102-1110. HAMILTON, B., & CHALABI, H. (2010). VITAMIN D: AN UPDATE FOR THE SPORTS MEDICINE PRACTITIONER. Sportex Medicine, (43), 11-16. Willis, K. S., Peterson, N. J., & Larson-Meyer, D. (2008). Should We Be Concerned About the Vitamin D Status of Athletes?. International Journal Of Sport Nutrition & Exercise Metabolism, 18(2), 204-224.